The Doctor, Rose and Captain Jack have to fight for their lives on board the Game Station. But a far more dangerous threat is lurking, just out of sight. Captain Jack has seen danger and wonders alongside the Doctor and Rose, but now their friendship is put to the test as Earth plunges into an epic war. 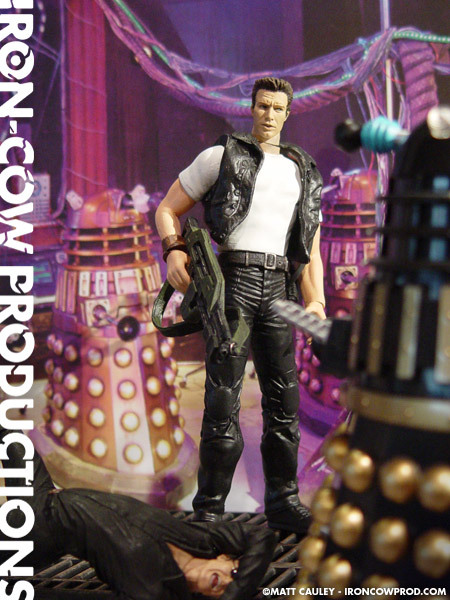 Will Jack survive the invading army of the Daleks? 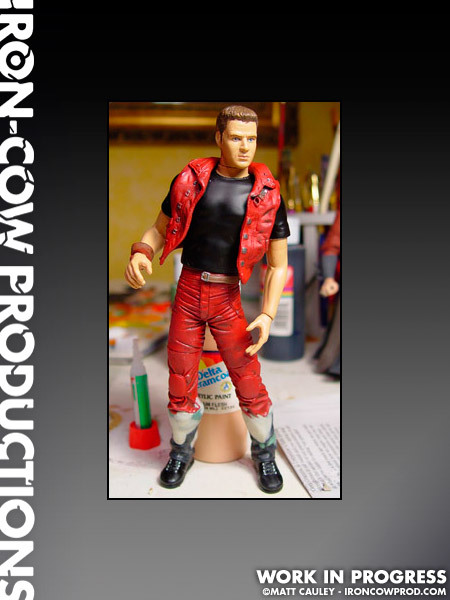 The CAPTAIN JACK HARKNESS action figure is half KANEDA, from the McFarlane AKIRA action figure line, along with the upper half from an older FARSCAPE action figure. 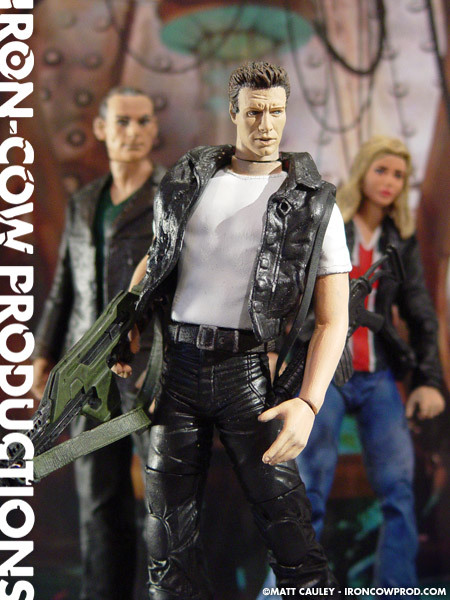 The head and weapons are reworked from the Movie Maniacs CORPORAL HICKS action figure. 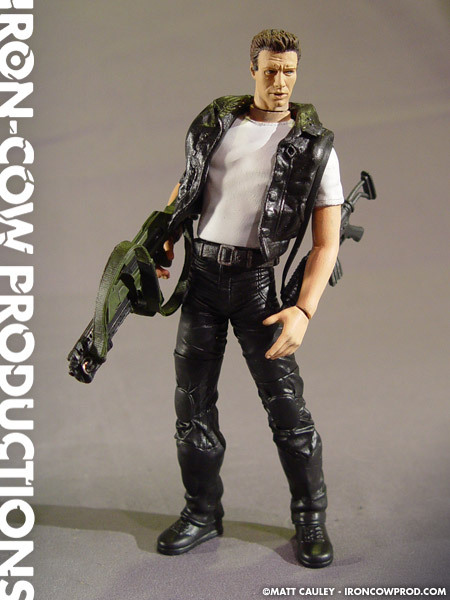 The John Barrowman CAPTAIN JACK HARKNESS action figure stands 6 1/2″ tall and features 10 points of articulation.